Has it really been that quiet this off-season? Is this the most highly anticipated signing of a third line center in history? Mike Babcock expressed his firm belief that the Detroit Red Wings would sign Mike Modano when he gave an exclusive interview to NHL.com last month. Now that it apparently will come true, Babcock is not the least bit surprised. 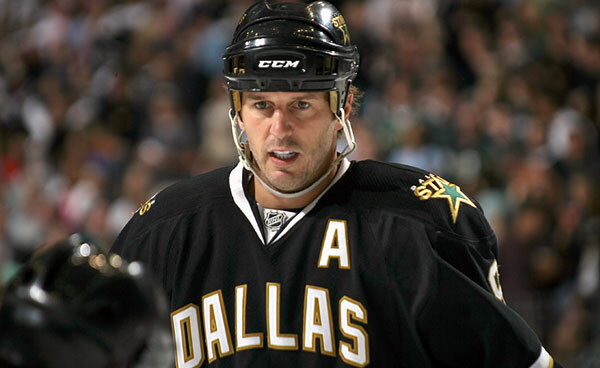 Modano, who's golfing in Scotland, confirmed via text to the Dallas Morning News on Tuesday that he has decided to play with the Wings. The native of suburban Detroit later confirmed in a text message to The Associated Press that he has agreed to a one-year deal. The Red Wings’ coach said he’ll be thrilled to add Modano to the lineup. Modano may very well be one of the greatest American born players in NHL history, but his numbers have been on the decline, and he is a collective minus-30 over the past three seasons. It's a nice homecoming story, but there is no need to engrave Modano's nor the rest of his new teammates names on the Cup just yet. However, we assume that his wife, Willa Ford will be coming with him, so maybe a small celebration is in order for the fan in the stands at the Joe. Nice and Excellent blog, this a good and informative blog, I like to share some special information about american plumber, Plumbers have to take all of the parts and materials into account, along with their time and experience. If you want a highly experienced professional doing the job for you, you are going to end up paying a little more per hour.